Such a wonderful movie that I highly recommend. Check the trailer. This entry was posted in Movies and tagged Best seller, khalil Gibran, liam neeson, salma hayek, The Prophet on May 5, 2015 by R.B.T.T.. I saw many of the winning movies. I have no idea why Birdman is given this much attention. 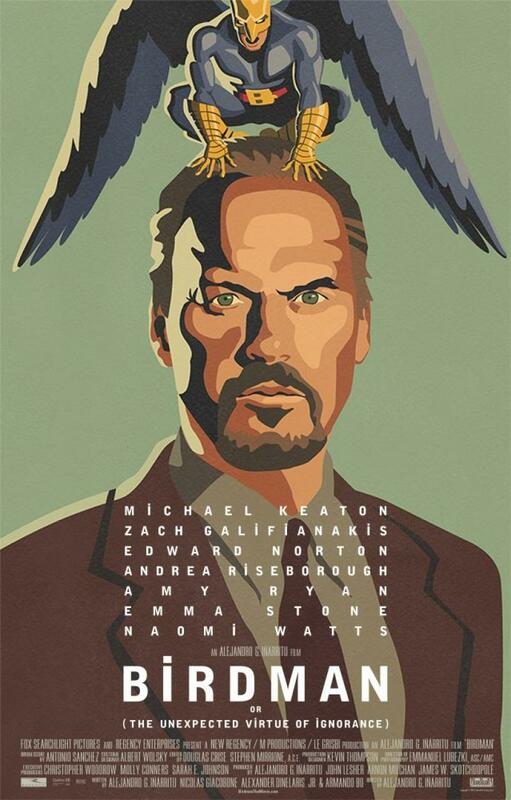 It is a nice movie and Micheal Keaton’s performance is undeniably great but my first reaction after watching it and even now is “What did I just watch!”, it’s good and all but probably the best word to describe is Weird. I am disappointed that The Imitation Game did not score any big wins. It’s one of my favorite movies along with The Theory of Everything, I think they both deserve more awards! This entry was posted in Events, Movies and tagged list of winners, Oscars 2015 on February 23, 2015 by R.B.T.T.. This entry was posted in Movies and tagged Cambridge, Jane Wild, Stephen Hawking, The Theory Of Everything on January 21, 2015 by R.B.T.T.. The first Academy Awards ceremony, better known as The Oscars, took place on May 16th 1929, and was attended by two hundred seventy people only and the guest tickets price was $5. At first, the winners were notified in advance, but that changed to the system of the sealed-envelop still in use today. 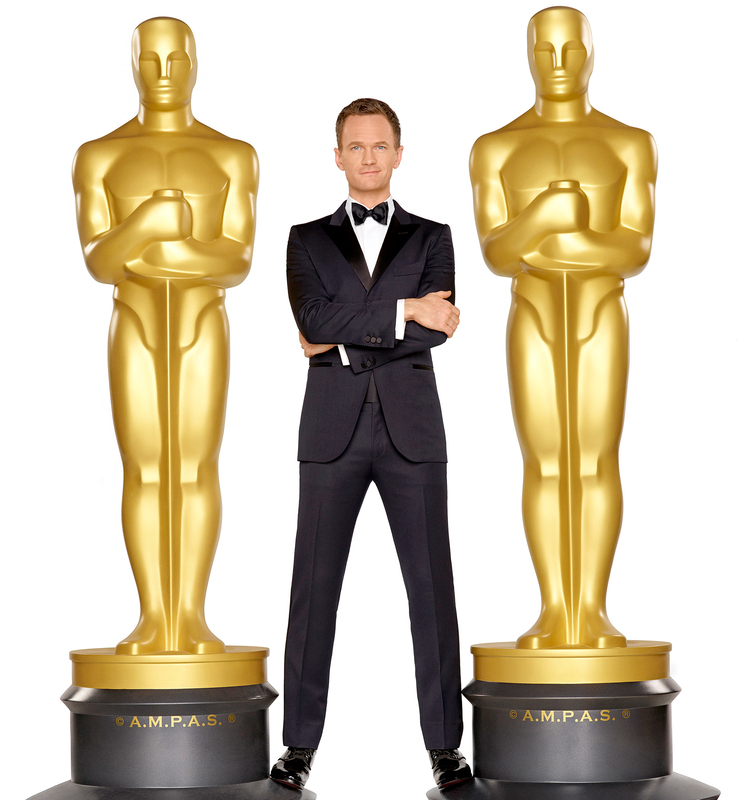 This year marks the 87th edition of the ceremony to be held on February 22nd 2015 at the Dolby Theatre at Hollywood & Highland Center and hosted by Neil Patrick Harris. 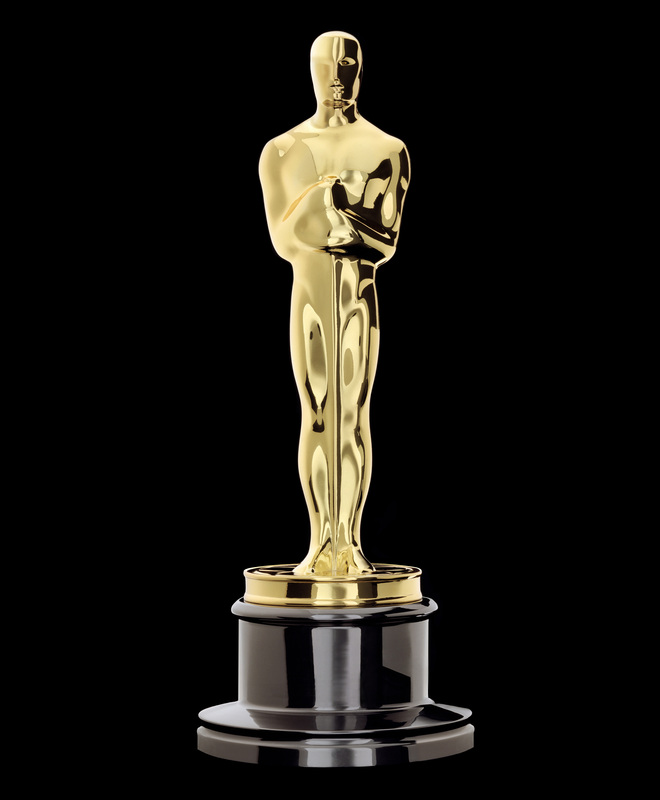 Official Name: Academy Award® of Merit (if you are wondering why it has been called Oscar, here is why: “a popular story has it that upon seeing the trophy for the first time, Academy librarian (and eventual executive director) Margaret Herrick remarked that it resembled her Uncle Oscar. The Academy didn’t adopt the nickname officially until 1939”). Design: A stylized figure of a knight holding a crusader’s sword standing on a reel of film with five spokes signifying the five original branches of the Academy (actors, directors, producers, technicians and writers). No model was used during the design process. Material: During initial ceremonies, the statuette was made of gold-plated solid bronze and within a few years, the bronze was abandoned in favor of britannia metal which is then plated in copper, nickel silver, and finally, 24-karat gold. This entry was posted in Events, Movies and tagged 87th Edition, actor in leading role, actress in leading role, best picture, cinema, directing, movies, statuette, The Academy Awards, The Imitation Game, The Oscars, The Theory Of Everything, trophy on January 21, 2015 by R.B.T.T.. Many factors concur to make a movie a blockbuster, in most cases, they are indigenous to the movie itself (direction, cast, scenario,…). But there are other factors such as the movie being an adaptation of a best seller novel, a well produced soundtrack or more simply a good advertising (even if the movie is terrible). Danny Elfman – Did That Hurt? I am already excited for the soundtrack. The orchestral’s remix of Beyoncé’s Crazy in Love which is featured in the trailer sounds amazing, and I am already in love with The Weeknd’s song, Earned it. Ellie’s song is also very good. This entry was posted in Movies, Uncategorized and tagged adaptation, beyonce, E.L.James, Ellie Goulding, February, Fifty Shades of Grey, novel, OST, soundtrack, the weeknd on January 10, 2015 by R.B.T.T.. So I was really anticipating to see the movie and I saw it yesterday. Was it worth all my excitement? Mmm, not that much. It’s a nice movie and the new twist is good, but It’s a Disney movie and it surely feels as one. I was expecting it to be a bit more darker, for Maleficent to be more evil, instead she turned out to be eventually a good loving character. So all along the movie, emotions are flowing and love is in the air. Anyway, I tend to point out the negative better than I do for the positive as when I have high expectations, I set the bar high and I hate disappointments. So go see the movie, enjoy the scenery and explore the new twist in it. This entry was posted in Movies and tagged Angelina Jolie, Disney, Maleficent on May 31, 2014 by R.B.T.T..
I’ve always been a fan of super heroes movies as I used to enjoy watching the cartoon series when I was a kid and now I get the chance to see them in movies. In recent years, for the Marvel Heroes, the Avengers (individually or all together) & X-men, we were getting at least one movie of each per year and the thing is that they are becoming a sort of a movie-chain, in a way that if you skip watching one, there are some details that you won’t get in the next movie. It’s plain marketing strategy and I am sure it’s paying-off well for the producers. 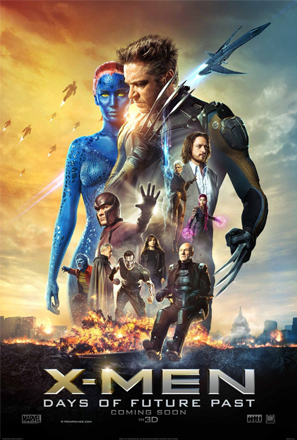 Yesterday I saw the movie X-men: Days of Future Past and I really liked it. It’s long but interesting and it’s obvious that it’s just another one in the sequence of other X-men movies to come. What I miss seing though is more of the battles between the mutants as in the first three parts, I think they are trying to work more on the story. Briefly, Wolverine must go back in time, convince professor X and Magneto to change some events in the past to prevent the extinction of the mutants in the future by the Sentinels, and Mystique has a key role on this mission. It’s a definitely a nice movie to watch. Here’s the trailer. This entry was posted in Movies and tagged Days of Future Past, Magneto, Mystique, Professor X, Trailer, Wolverine, X-men on May 26, 2014 by R.B.T.T..